The economy has a privileged place in contemporary life. Economic metrics are reported a little like the weather and any politician who wants to be elected has to bend the knee to the hegemony of economics. A healthy economy is typically prioritised over other aspirations. That is thinking for yesterday’s world. For most of our history, people didn’t even know how big the planet was. It was flat, and went on for miles with plenty of room for expansion. 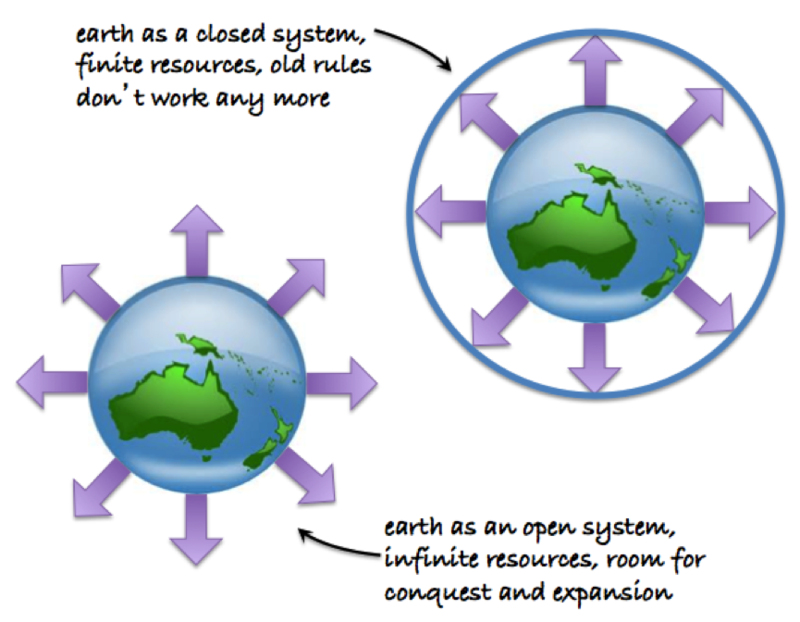 We regarded the earth as an open system, with infinite resources and room for conquest and expansion. But now we know that it is a closed system. Astronaut Ron Garan calls our planet a “fragile oasis” – a perspective gained from 178 days in space. Times have changed. There are over 7.3 billion of us now. The industrial revolution has given us the tools to extract and process the planet’s resources and we have haphazardly disposed of the resultant products and attendant waste. In our closed system, this has become a problem, and it threatens our continued tenure of the planet like nothing else in recorded history. 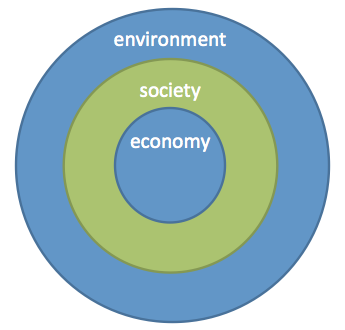 We can no longer regard the economy in isolation to society and the planet’s ecosystems. It is important to review our perspective. There is a hierarchy. The economy is a function of human activity and depends on human communities – there can be no economy without society. Society in turn depends on the planet as a home. This is a bill we are not paying. 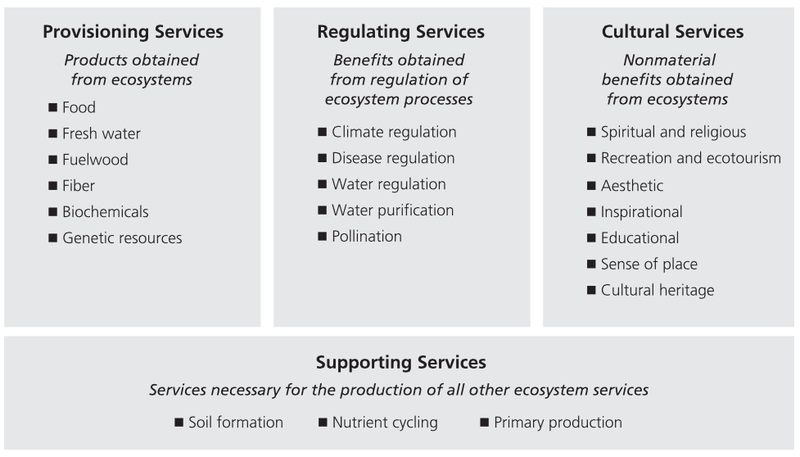 Furthermore, many of these services, which should remain in the commons, are appropriated to capture profit for a few wealthy individuals. I am confident that much of the technology and knowhow required to correct this imbalance, settle the account and achieve prosperity for all the world’s people is available now, or in the pipeline. What is lacking is our psychological and sociological capability to implement these solutions. The development of our technological capability has outpaced our maturity. Our great challenge is to recognise our dependence on Mother Earth and our interdependence as one human family. If we are unable to do this, and do it soon, we probably have no future here. This entry was posted in Communication and engagement, Culture and values, Sustainability and tagged economy, ecosystem services, fragile oasis. Bookmark the permalink.